Just because you’re a veteran iPhone or Mac user, that doesn’t mean you’re not going to run into any problems when navigating the Apple Watch. In fact, chances are you might get lost once or twice in the brand new user interface Apple has designed for its wearable device, as there are plenty of new things to get used to. On top of the standard tapping and swiping gestures, you’ll also have to get used to Force Touches, as well as a completely new physical button, the Digital Crown. Not to mention that an additional simpler button has its own special set of functions that you’ll have to get used to. 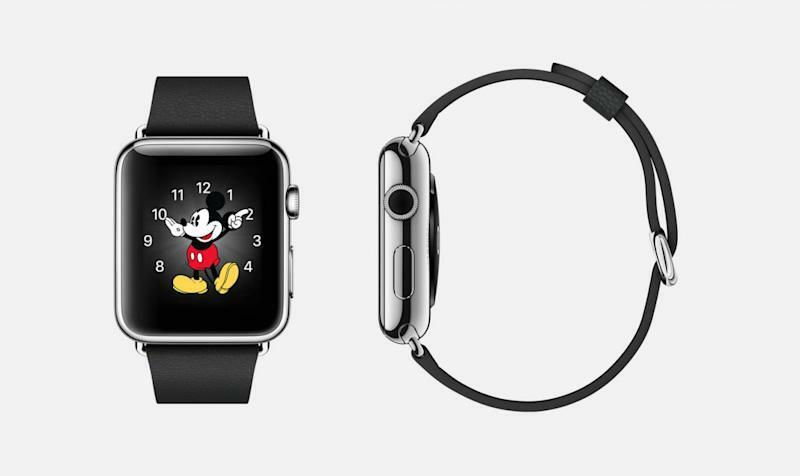 Sure, navigating the Apple Watch won’t be rocket science, but it won’t be that easy either, at least at first. That’s why you should check out the user interface cheat sheet at the end of this post, which was created by Reddit user macamacamac and which includes all the new Apple jargon related to interacting with the Apple Watch. Accessing apps and settings, looking at notifications and Glances, and getting back to the watch’s home screen is all described in the following image, complete with handy pictures and precise navigation instructions. 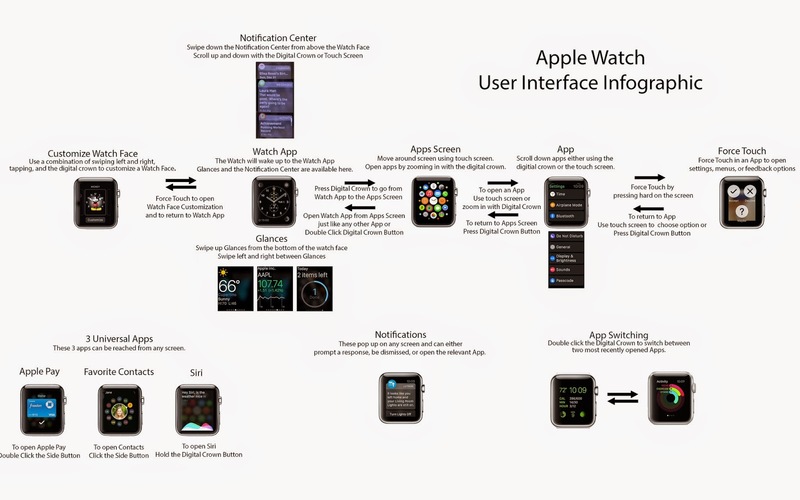 The full Apple Watch user interface infographic follows below – if that’s not enough, check out Apple’s Apple Watch quick tours videos and these additional visuals that can help you better navigate its UI.